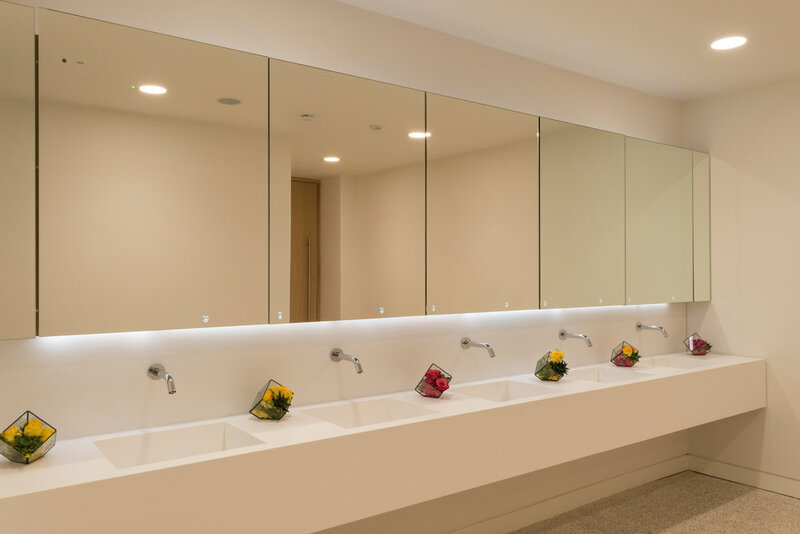 As solid surface fabricators we believe that Corian® wash troughs and basins should be as practical as they are beautiful. 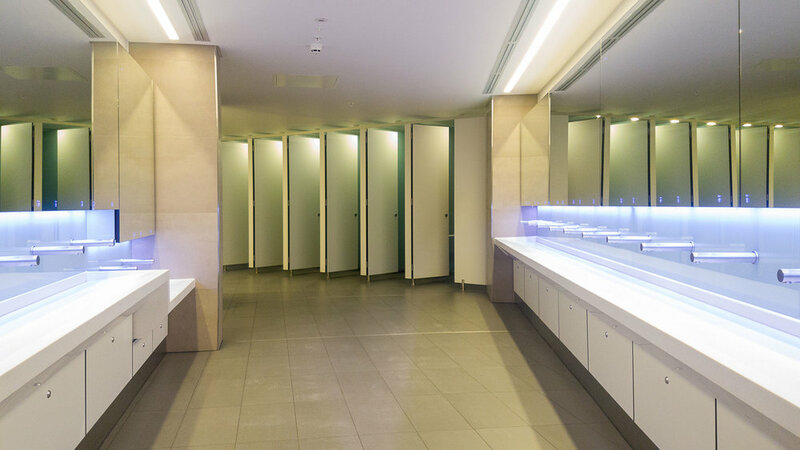 Non-porous, continuous with no visible joints or seams, they offer durability, function and multifaceted design in both commercial and residential environments. 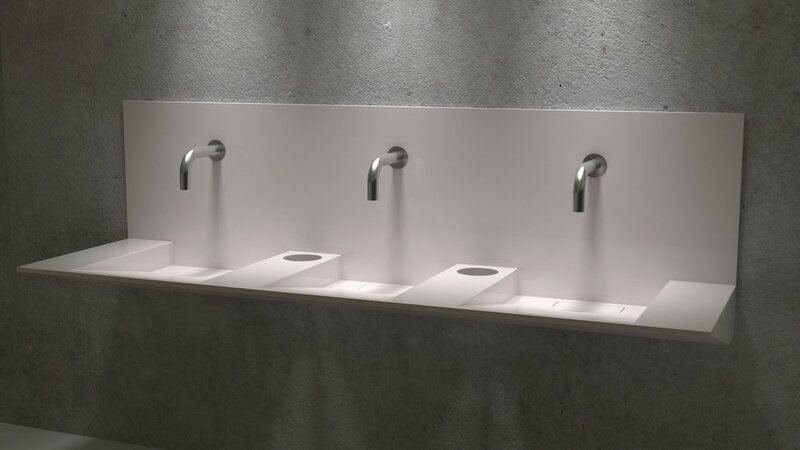 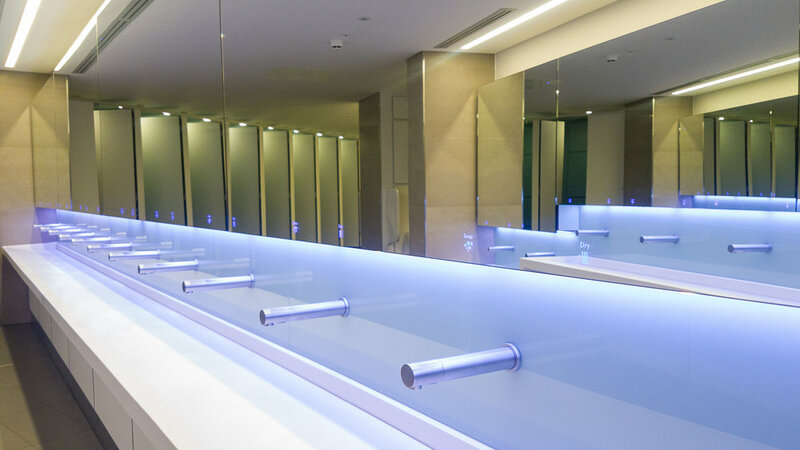 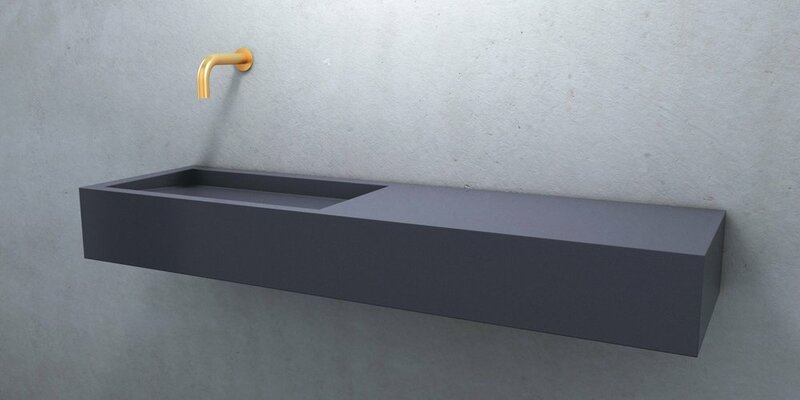 Corian® wash troughs and basins offer a sophisticated and pure configuration that enables effortless integration in the washroom in either communal activity spaces or private ‘Supaloo’ environments. 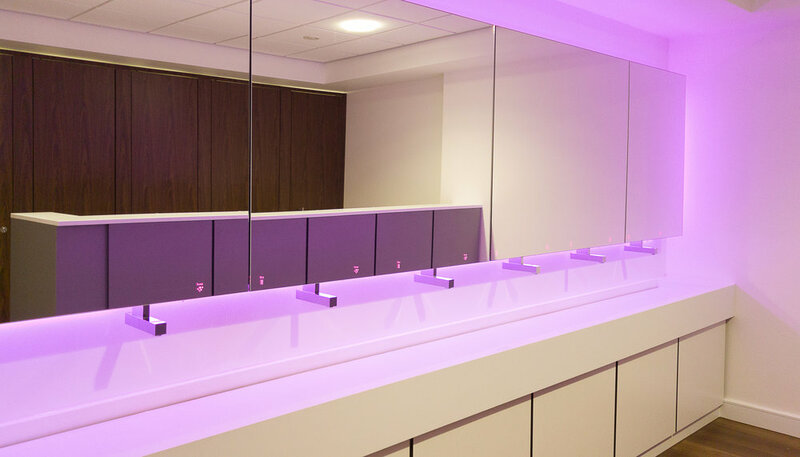 Corian® by Du Pont offer a colour palette that can transform, energise or quite simply reflect the personality and brand of the building owner. 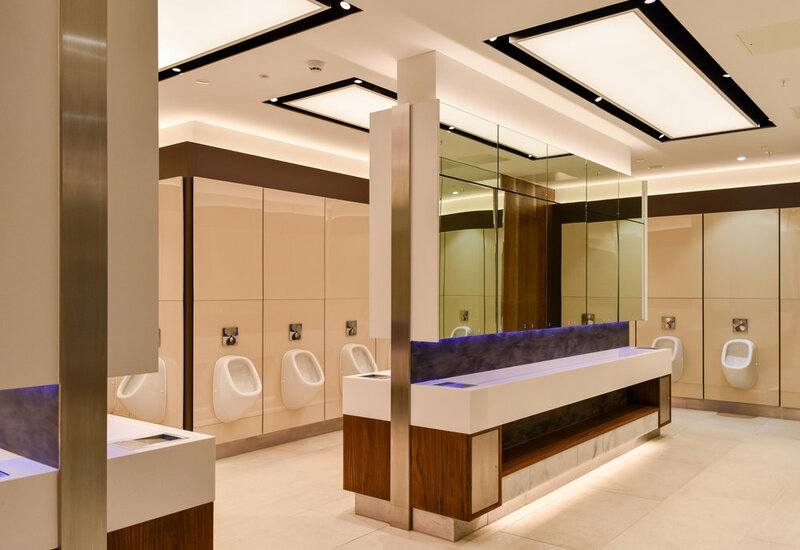 Any shape or size you desire, we will work with you and your requirements to produce a masterpiece of washroom engineering that will inspire. 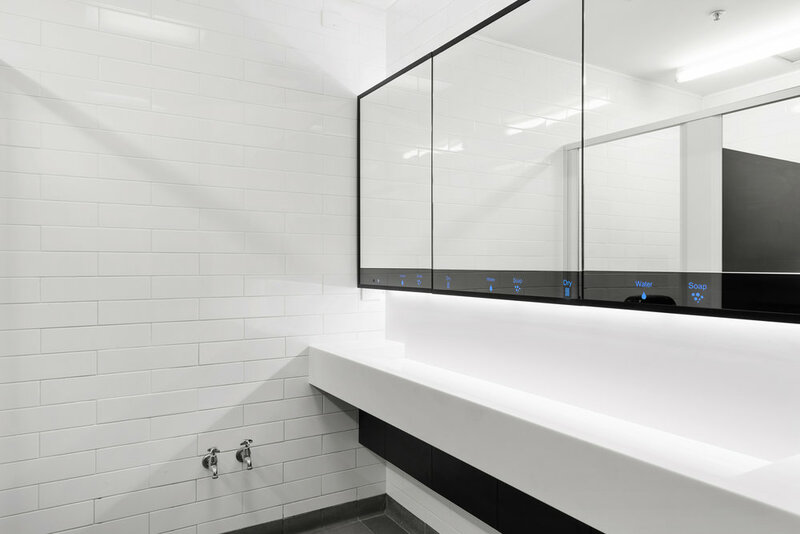 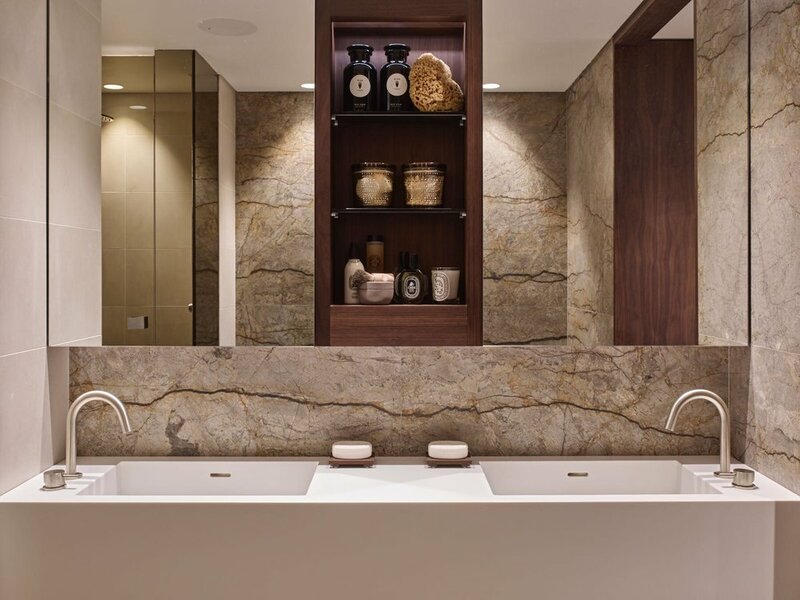 Ultimately, as solid surface experts we want to create and design with you, help customise and bring your vision to life, and be your guide every step of the way. 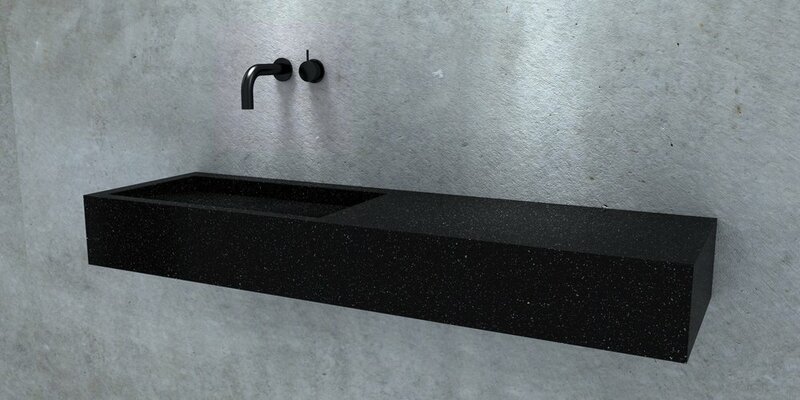 Get in touch to discuss how Dolphin Solid Surfaces can deliver. 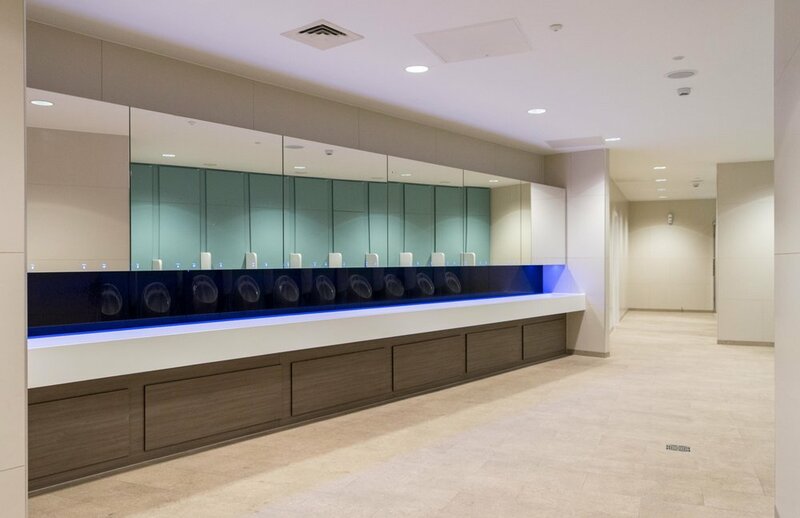 Sign up to receive news of our developments, and project installations from Dolphin Solid Surfaces.